Paying Taxes on Workers Compensation in Florida | Johnson & Gilbert, P. A. Do I Have to Pay Taxes on my Workers’ Comp Payments? Workers’ comp payments are only a fraction of the employee’s regular pay. Florida workers’ comp checks usually don't have any withholdings, such as retirement and medical costs deducted from gross payment. Both regular workers’ compensation and workers’ compensation settlement checks are usually not considered a taxable form of income. However, there's an exception to the taxation rule. If a person receives disability benefits from a variety of sources, a portion of those benefits could be eligible for state and federal tax. Who Has to Pay Taxes on Workers' Compensation? Since workers’ compensation is paid at a percentage of a person’s normal income, injured workers often apply for many other types of benefits in order to make ends meet. Depending on the nature of their injuries, workers may be granted payments through Social Security Disability Insurance (SSDI) or Supplemental Security Income (SSI) as well as local and state benefits. If the combined amount of benefits a person receives exceeds 80 percent of his or her pre-injury earnings, he or she will owe taxes on a portion of worker’s comp. It's important to note that many people who qualify for taxation based on these rules may not have to pay. For example, the Social Security Administration may reduce a beneficiary’s benefit payments to ensure the combined amount of workers' comp and Social Security disability payments stay below the 80 percent threshold. 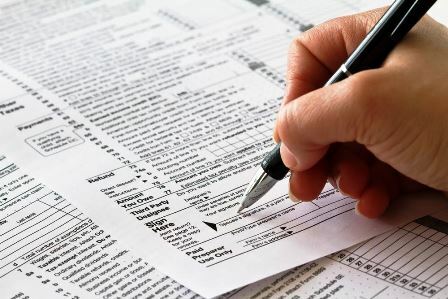 In addition, most beneficiaries who receive both Social Security and workers' compensation won't make enough income to owe federal taxes, even if a portion of these payments is found taxable. Tax laws and disability benefit programs are full of complicated language and frustrating exceptions, so it's a good idea to speak with an experienced workers' compensation attorney before accepting your settlement. Call us today or fill out the form on this page today to speak to an attorney at no cost to you. Most Dangerous Jobs in the U.S.